The Hangar Theatre opened in 1975 in a renovated municipal airport hangar. The conversion of the airport hangar was made possible by the support of the Ithaca Repertory Theatre, Cornell University, Ithaca College, the City of Ithaca, and a grant from Nelson Rockefeller. 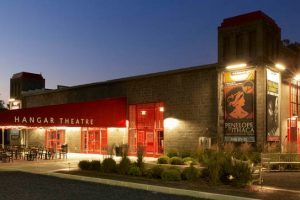 For more than 40 years, the Hangar Theatre has produced theatrical and education programs for Ithaca and the surrounding area. In 2006, Taitem conducted a feasibility study for renovations to this historic theatre that was faced with potential flooding issues due to proximity to Cayuga Lake. 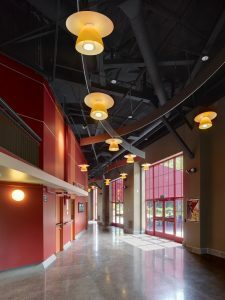 Another need was to expand the HVAC system to allow the theatre to produce programming year-round rather than just for the Summer season. The renovations were completed in 2009 for which Taitem provided mechanical, electrical, and plumbing services.